The Mya Extra Small Silver Bangle is a beautiful curvy, solid sterling silver bangle designed with an oval cross section creating soft edges and a very comfortable fit. 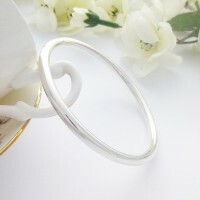 This bangle has a lovely weighty, quality feel to it and is perfect for ladies or young women with small wrists/hands. 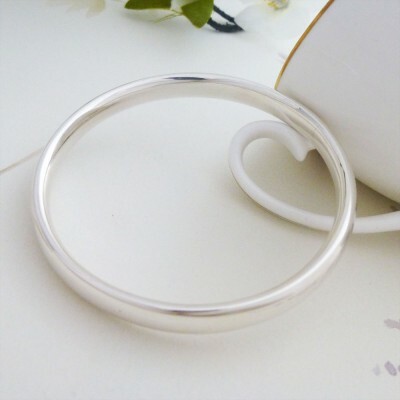 This gorgeous bangle is a timeless solid silver bangle that has been handmade in the West Country and is made out of quality 925 sterling silver. 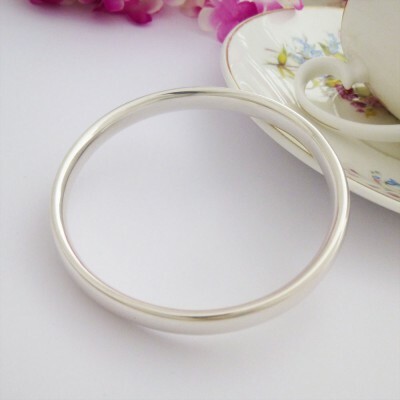 We love this extremely beautiful bangle, whilst it is chunky and solid, it still has a lovely feminine feel to it. 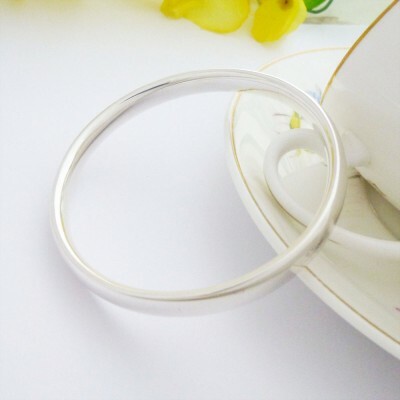 The Mya Extra Small Silver Bangle is the most perfect bangle for your loved one and would make the most gorgeous Christmas, anniversary or special Birthday present. 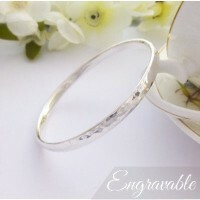 The Mya has an oval shaped section that is 8mm wide and 4mm deep.